Get your flat into a festive mood! How to completely transform your flat from a dull living space into your own personal winter wonderland! We all know how difficult it is to get yourself in the mood for the holidays as a university student. Nothing dampens the holiday spirit like being set a humungous essay, or the daunting task of an end of term test. But fear not! 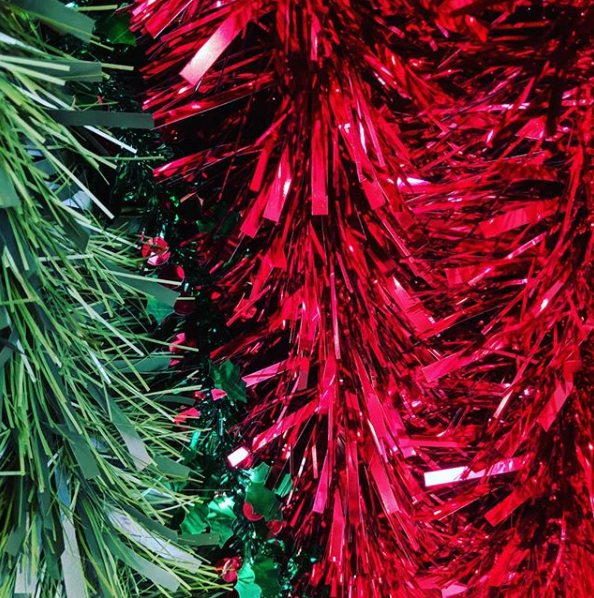 With the help of a few decorations, you’ll be feeling Christmassy in no time! Image Courtesy of judena20 via Instagram. We all love it. We all know we can get approximately a square mile’s worth of it off Amazon for under £5. Which is why we all know its probably the best Christmas accessory for the student budget. 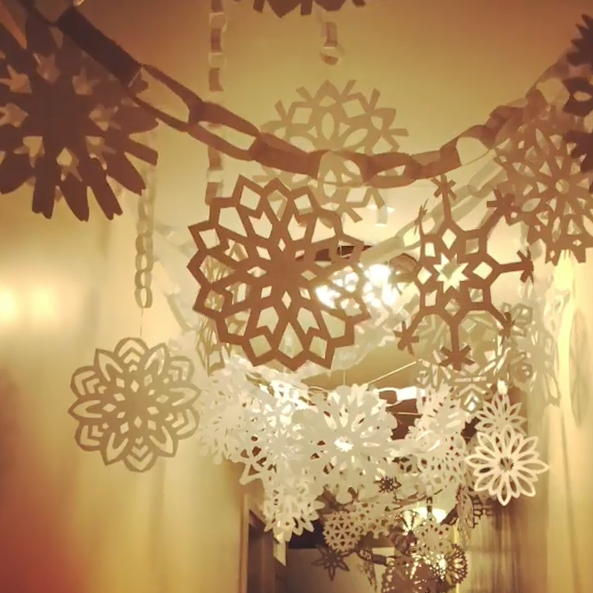 It’s a perfectly affordable way to give your flat a bit of Christmas pizzazz! Line your windows with it, smother your cabinets, go wild! It’s Christmas after all! Whilst this doesn’t sound particularly DIY, buying Christmas themed kitchen roll and tee towels etc. is a surprisingly easy and inexpensive way to add an Xmas ‘pop’ to your living space. The bottom line here is: we all need it, and we all love Christmas. Who could forget… A Christmas Tree! When my flatmates first suggested this to me, I have to admit that a few thoughts sprung to mind. Who’s got the money to spend on a tree when I can’t even afford anything outside the range of ‘Asda Smart Price’? Where will we put it? Surely there’s no space for a 6ft tree I thought. The corridor’s simply a fire hazard, nobody wants one in their room and if you don’t live in a townhouse, your only other option is your kitchen (which arguably isn’t even big enough for the flatmates). Impracticality was another. The thought of pine needles scattered across the kitchen floor for my bare feet to surely be impaled on at 3am wasn’t an idea I was fond of- but here I am with an iddy-biddy synthetic one perched happily next to my toaster for £6.99! I hope these few ideas help spice up your flat in time for the festive season! Merry Christmas! Previous articleThe UEFA Nations League: What Next?